This thrilling week long guided tour visits some of Iceland's most celebrated natural wonders, with the added bonus of searching for orcas and the northern lights. Explore the famed Golden Circle route, the spectacular Snaefellsnes Peninsula and travel the South Coast past waterfalls, glaciers and volcanoes to reach the incredible glacial lagoon of Jokulsarlon. From mid-December to mid-April, the seas around the Snaefellsnes Peninsula are often swarming with herring – an irresistible lure to large pods of killer whales and dolphins as well as numerous seabirds. The two boat trips included in the holiday are often rewarded by close encounters with these charismatic cetaceans – our expert wildlife guides will shed light on their behaviour and help you identify dolphins and seabirds. 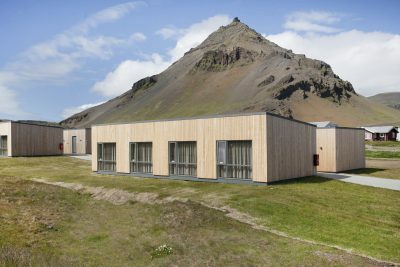 Spending three nights in a country hotel at the western tip of the Snaefellsnes Peninsula, far from any artificial light pollution, you are well placed for witnessing the northern lights on this holiday. If the aurora borealis appears, simply step outside to witness the spellbinding spectacle. Our guides are experienced aurora hunters and photographers and will be able to help you capture the phenomenon with your camera. 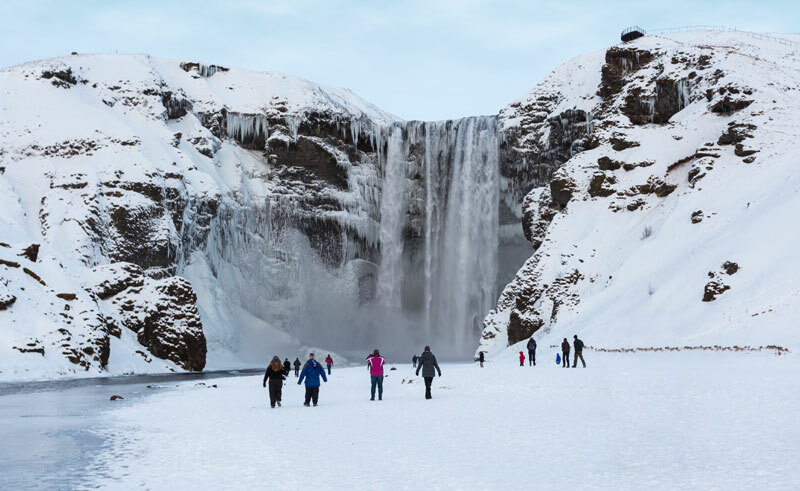 As well as orcas and aurora, this holiday is packed with other natural wonders – from the Golden Circle (featuring Gullfoss waterfall, Geysir and Thingvellir National Park) to the South Coast (Seljalandsfoss and Skogafoss waterfalls, black-sand beaches, volcanoes and glaciers). You will also be able to enjoy wonderful short hikes along the rugged coast of the Snaefellsnes Peninsula, with the Atlantic on one side and a snowcapped volcano on the other. The jewel in the crown, however, has to be Jokulsarlon on the South Coast, where you will be able to witness the spectacle of a lagoon filled with icebergs and walk among their crystalline remains on a nearby black-sand beach. This escorted group requires a minimum of 15 participants in order to operate, and will have a maximum of 20. Arrive at Keflavik Airport and transfer to Hotel Frost & Fire , a drive of around one and half hours. This evening take advantage of the hotel’s remote location and keep an eye out for the elusive northern lights. After breakfast head to the south coast. Gaze out over the black sand beaches and wave-lashed cliffs of the south coast and feel the spray on your face as you stand at the foot of Seljalandsfoss and Skogafoss, two mighty curtains of cascading glacier meltwater. You will also drive past the base of Eyjafjallajokull, the infamous glacier covered volcano which erupted in 2010. Spend the next two nights at Fosshotel Glacier Lagoon. Start the day by continuing east along the southern rim of Vatnajokull glacier, the largest in Europe, towards Skaftafell National Park where you can walk to a viewpoint over a glacier tongue riddled with deep crevasses. Then enjoy a visit to the photo friendly lagoon at Jokulsarlon, an Iceberg filled lake created by the discarded remains of a glacier in retreat. A short walk from here will lead you to the black sand beach where the icebergs that have been swept out to sea and whose appearance has been naturally re-sculpted by the waves, later wash back up on to the shore - you'll soon discover why this is also known as Diamond Beach. Here you will be able to get a closer look at the ice and even break some off to taste the purity of the water held within. This evening head back to Fosshotel Glacier lagoon for another overnight stay. Head back along the south coast and visit the Lava centre - the country’s largest earthquake and volcano museum. Continue to Hotel Frost & Fire your overnight stay. Iceland's Golden Circle is a trio of famous natural wonders which are a must see for any first time visitors to the country: view the much admired Gullfoss, a thunderous two-tiered waterfall; watch the geyser Strokkur erupt time after time and explore Thingvellir National Park, where the historic Althing assembled amongst imposing volcanic rifts and brooding mountains. 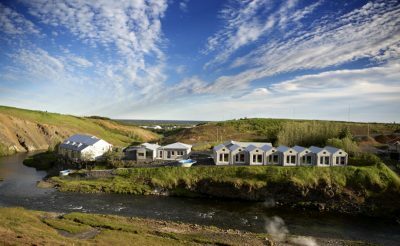 After this long but rewarding day of sightseeing, arrive at the peaceful Hotel Arnarstapi where you will spend the next 3 nights. Morning whale watching trip from Grundarfjordur out into the fjord (starting at approximately 10:00 - subject to change locally). The length of the boat trip depends on whale sightings (usually around 2- 3 hours). Return to Grundarfjordur for lunch (payble locally), before sightseeing en route back to the hotel. Spend a relaxing evening awaiting the northern lights. Another morning whale watching excursion by boat from Grundafjordur. After lunch (payable locally) continue to tour the Snaefellsnes Peninsula by coach. See sweeping lava fields and the mystical Snaefellsjokull; a glacier sitting atop a sleeping volcano. This area was the setting and inspiration for Jules Verne's famous book 'Journey to the Centre of the Earth'. Leave Arnarstapi after breakfast and drive down to Reykjavik, the lively capital city, for a brief opportunity to do some sightseeing and souvenir shopping. In the early afternoon, head to the airport and say your goodbyes to the guide and the rest of the group, before checking in for your flight home. 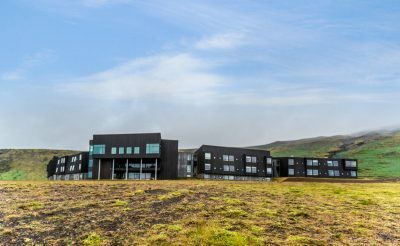 A modern hotel set in the picturesque village of Arnarstapi on the Snaefellsnes peninsula offering great mountain and ocean views.